Book a dive course with Kiwidiver Phuket and get your scuba certification today! With over 25 million certifications issued PADI is the largest, most experienced training agency with some of the best training methodologies in the world. Get Your PADI Open Water and learn to dive in Phuket with our award winning PADI 5 Star IDC Dive Center. 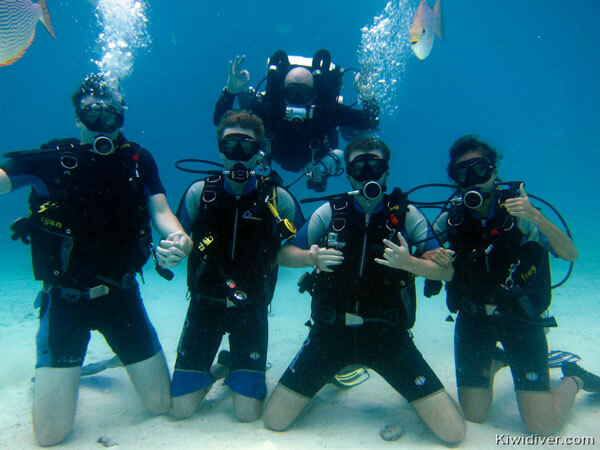 In a Kiwidiver Open Water Diver Course the price includes everything. No Credit Card or PayPal fees. No extra fees to pay for books, no extra fees to pay for certification, no extra fees for high quality equipment. We even provide a Kiwidiver T’shirt and a Kiwidiver Dry bag for the boat (when stocks available). Our instructors are all dedicated professionals that love teaching and will spend the extra time it takes to ensure that you safely build up confidence and acquire skills during your scuba diving course, to not only learn to dive but to get the most out of your diving experience. 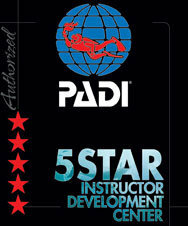 As a PADI 5 Star center you can be garanteed we only teach genuine PADI Courses. 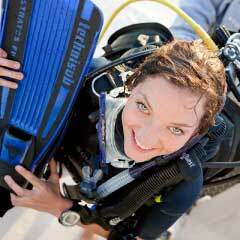 Before jumping into the water, you will need to learn the basic principles of scuba diving. This can be done in our classroom or if you want to save time during your holiday, you can cover the theory at home. We include either the PADI Touch app for your iPad or Android device or the PADI Open water manual (Either in paper form or as an online PDF) as part of the course at no extra charge. After your completing your Knowledge Development we get you straight in the pool to put what you have learned into practice. Your professional Instructor will show you and help you practice basic dive skills such as clearing water from your mask, setting up your gear, buoyancy control and proper entry techniques. Then over the following two days you get to practice everything you have learned in the pool by putting it into practice in the Open Water. You dive course can take place either at the beach or from the boat and you will be diving some of the best dive sites in Thailand with your instructor. Through the high season as weather permits, we regularly dive from Phukets West Coast beaches. 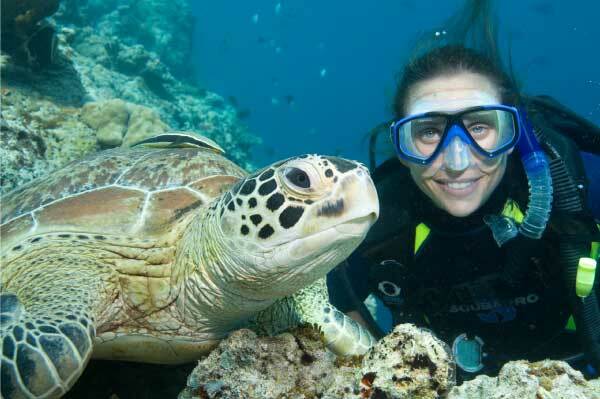 There are some fantastic sights to see and marine life to meet just off the local beaches. The PADI Open Water beach option is the same 5 Star PADI training by the same experienced Instructors as any of our other options. We use the beach instead of paying boat costs to go to one of the local islands therfore reducing our and your costs. The PADI Open Water course beach diving is also ideal for people who may not feel comfortable on boats or who have partners who want to accompany us to the beach and watch us having all the fun. With a maximum of two students to each of our instructors on 3-day courses and one on one individual training available, you will gain confidence and experience unmatched by any other scuba diving classes. With this approach, your instructor can more easily target specific areas that you need to pay attention to, rather than wasting your time while they concentrate on other students. With the six-dive PADI Open Water course you get two more dives beyond the standard PADI certification. Thus, your instructor can easily focus on specific areas that you need to pay attention to, and help you gain more confidence as a diver. As a result, you will get more time having fun scuba diving in Phuket, finishing the open water course a much better diver. 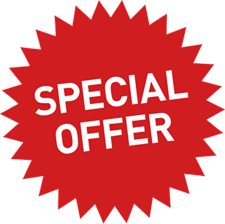 As a Special Offer Kiwidiver now have a 2 day PADI Open Water course available. This express course is for people who are already comfortable in the water swimming and snorkeling. It is run from the beach so is subject to weather conditions and sea state. And you must have completed the PADI Open Water Touch or e-learning program before the start of the course. Start today with the PADI Open Water Touch app for your iPad or android device. Once you have downloaded and installed the app you spend a couple of hours learning the theory of scuba diving and watching explanatory videos. Complete the multiple choice questions along the way and once completed you are ready to get straight in the water with one of our experienced dive professionals.